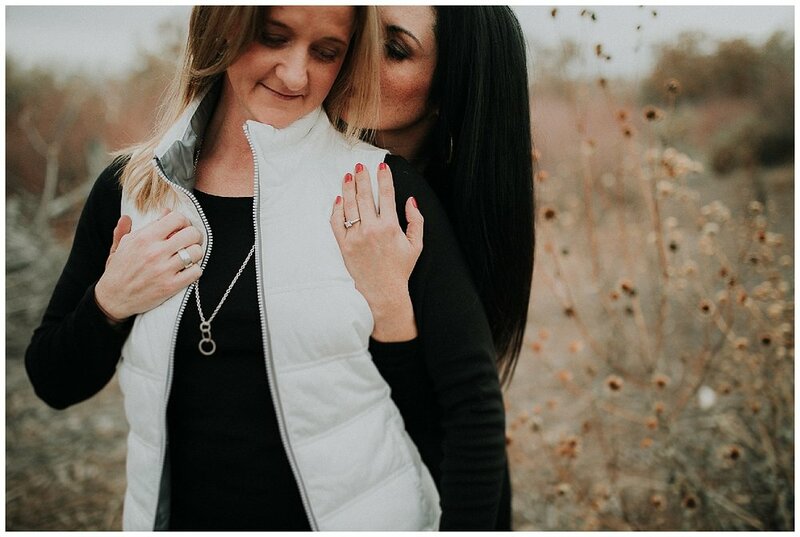 In a love story as romantic as their engagement session, Amy and Crystal's paths crossed many times before the universe finally allowed the timing to be just right. 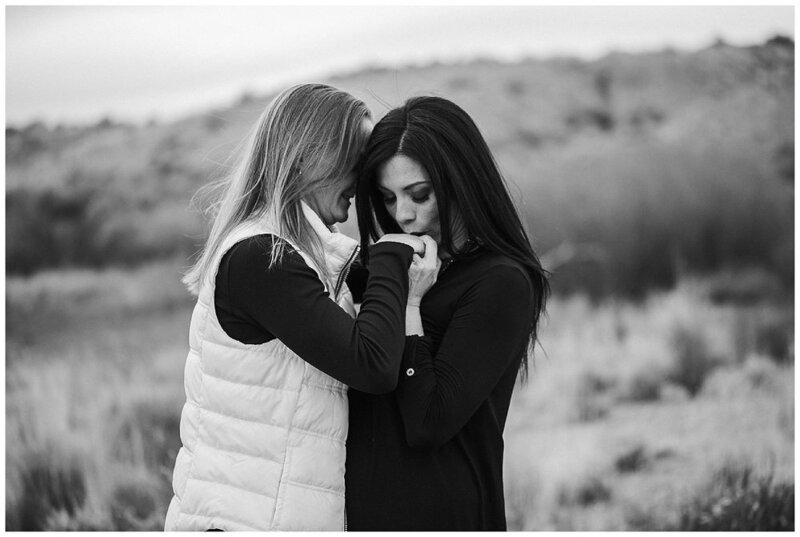 This sweet couple describes their relationship as truly a love at first sight circumstance. 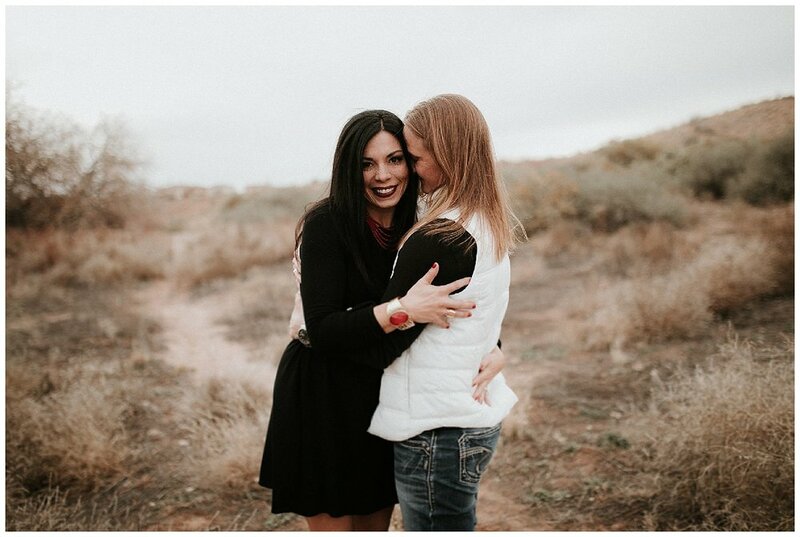 Amy, who is in the Air Force, was living outside of New Mexico while Crystal resided in Albuquerque when Amy proposed after a little over a year of being together. This uber moody winter session is also featured on Love Inc. and their Los Poblanos wedding will take place in October 2017!